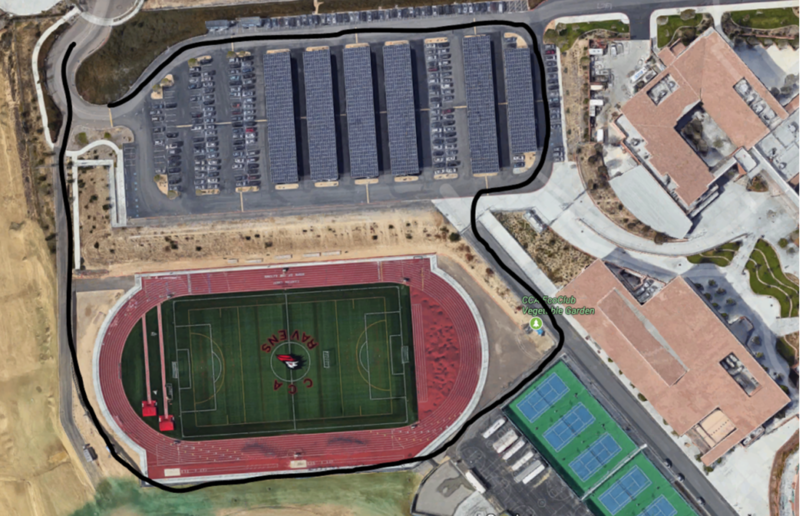 Buses will need to use the following path in order to make the turns and get kids to the gym (construction in lot). Buses must enter from entry closest to 56 freeway - Edgewood Bend Court. We expect to have a campus supervisor at this entry to properly direct buses where to go.